Born: June 4, 1877 in Toledo Oh. Died: February 8, 1935 in Bourne Ma. at 58 yrs, 8 mos, 4 d.
Where Lived: Westfield Ma., Bourne Ma. 1. 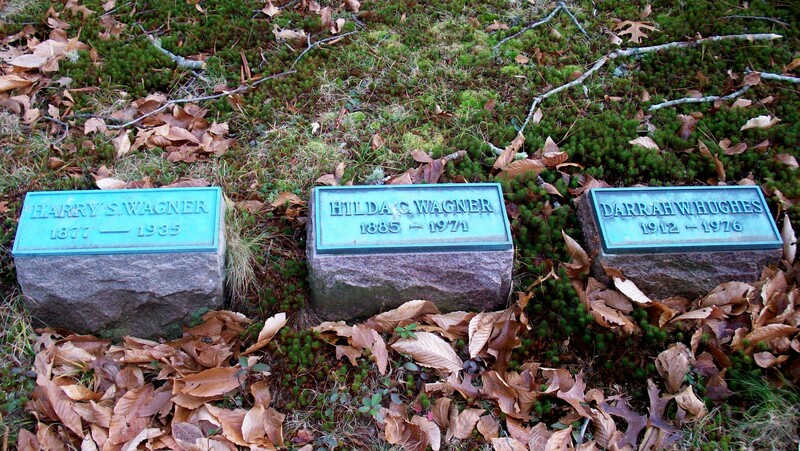 Darrah Wagner Hughes; (April 13, 1912 – 1976); Married A. Morris Hughes (1911 – 1979); Darrah was born in Westfield Ma. & is buried next to her parents in Cataumet Cemetery.